After a number of years of discussion and preparation, in 2011 The Society for Shamanic Practice published SHAMANISM WITHOUT BORDERS: A Guide to Shamanic Tending for Trauma and Disasters. 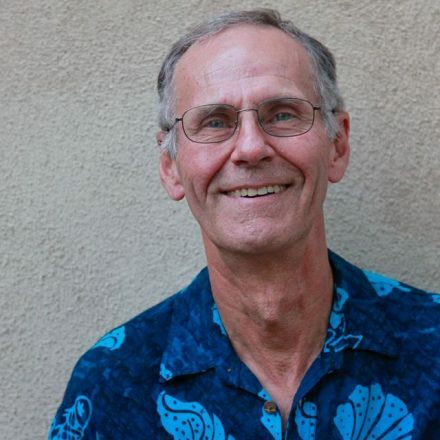 The idea was to publish a collection of possibilities and approaches to various scenarios where shamanic practitioners and people walking the shamanic path could contribute to the healing of situations, events and conditions taking place around the world. In this way, rather than feeling helpless, many people working together could find a way to directly and indirectly support those in far-flung places around the world experiencing traumatic events. In addition, they would be able to help restore the energetic balance in the lands and seas subjected to the intrusions of drilling, strip mining, war, nuclear accidents, and a wide variety of traumas to the environment including earthquakes, volcanic eruptions, hurricanes, fires and flooding. 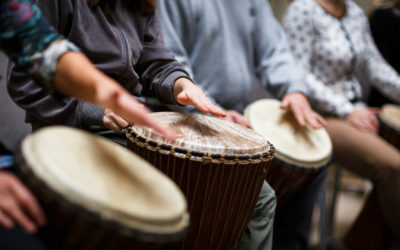 Knowing there is no cookie cutter process to doing this highly varied work, the authors thought it was best to offer shamanic perspectives on and provide examples of various ways trauma could be worked with, allowing people to approach each situation in a way tailored for that unique event. Our philosophy is that knowledge can assist people in tending the suffering of land, animals, and people. We believe a shamanic presence, whether physical or in spirit, can help those who find their normal life patterns seriously disrupted. Until recently, most shamanic approaches have been focused on individual healing and localized events. Yet in a changing world where the media broadcasts difficult and painful situations from all parts of the world into our living rooms, our reality has changed. 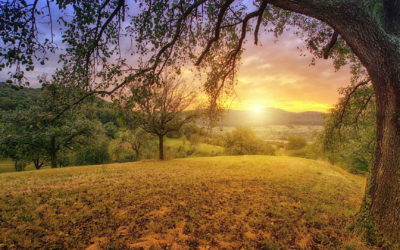 With this change comes the need for and the possibility of joining together under the guidance of the helping spirits to do what we can to alleviate the suffering and put things right again. The following is one story drawn from the book describing a bus accident in Bolivia and the way it was shamanically managed by the people experiencing it. In February 2010, I was leading a mixed group of twenty-seven people from six different countries on a memorable spiritual journey to the Lake Titicaca region in Southern Peru and Northern Bolivia. This region is notable to shamans around the world as being the new feminine spiritual center of the planet, recently transferred from the more masculine Tibet. After visiting transformational sites on the shores of Lake Titicaca in Peru, we crossed over into Bolivia by bus to visit Tiwanaku, a most powerful ceremonial site of a pre-Incan ancient civilization, but we arrived in heavy El Nino rain, too late in the day to have an adequate visit. Hastily we reworked the schedule with the bus company and agreed to overnight in La Paz and return the next day to Tiwanaku. Well rested, we returned to the site and offering coca leaves and tobacco, we respectfully asked permission from the spirits of that place to be there for a brief time. We experienced an extraordinary morning exploring this ancient pilgrimage place still holding great power and teachings. We were fortunate to have an additional guide, provided by the site, who understood our orientation and who led us in a special ceremony to complete our experience there. Afterwards, we all gave each other heartfelt hugs and felt a deep connection to one another and the place itself. Tired and hungry we had a long lunch and just as we were leaving it started to rain. The plan called for us to retrace our steps to La Paz and then head on to Copacabana where we had reservations for the night at a good hotel. My daughter Anna and I were sitting in the front of the bus and I noticed that the little jump seat in the very front next to the driver was empty so I called out that anyone wanting a good view could take turns sitting there. Tory, a Buddhist teacher from Colorado, volunteered and for some eerie reason I teased her saying, “First to the scene of the accident.” She gave me a not too pleased look, with good reason as it turned out. As the bus headed out to the highway, our spirits were high but soon most of the group began quietly processing their experience of the morning. The rain intensified and the bus began to navigate the steep terrain of the Bolivian highlands. We began to head down a steep hill with a long curve. With my elbow on the armrest, I was propping up my head on my hand, and closing my eyes, I began to doze off. The next few moments are still somewhat confusing for me because although I had my eyes closed I somehow knew exactly what was taking place. A colectivo, a van packed with Bolivians, was passing a series of slower colectivos going uphill on the mountain curve we were heading down. By the time he spotted our bus heading toward him he did not have time to finish passing, so in his effort to get back in his lane, he crashed into the colectivo he was passing and sideswiping us, crashed into the driver’s side of our bus. I remember hearing a tremendous sound of impact and before I could open my eyes the huge front windshield of the bus exploded and I felt like someone was tossing a bucket of popcorn onto my face and body. When I opened my eyes I was covered in sharp fragments of glass and the front windshield was completely shattered with shards of glass hanging like stalactites from around its rim. It was totally evident that safety glass was not used in Bolivian buses. The bus was still moving but very slowly now as the driver fought with the steering wheel to bring the vehicle to a halt before it slid into the deep rain gutter and turned over. I could see blood on his face but fortunately as it turned out he had only two minor cuts above his eye and on his chin. I quickly looked to see what happened to Tory and saw her stand up shaking voluminous amounts of glass from her hair, face and body. She had her eyes tightly closed and was concerned she had glass in her eyes. Glass shards had penetrated her seat all around where she had been sitting but none had penetrated her body. Again, it turned out she had no injuries other than two tiny punctures on the backs of her hands. I looked around to see about the other passengers. Everyone seemed to be in a state of shock, shaking the glass that had flown at eye level everywhere in the bus. One of our passengers received a slight cut to the bridge of her nose and was beginning to bleed. Other than that there were no cuts, broken bones or injuries to anyone in the bus. Although Anna and myself had received a high powered and massive shower of glass to our faces and bodies, neither of us had the slightest scratch on our bodies, even as we shook out all the glass that had gone down our necks under our clothes. I staggered off the bus still shaking glass off me and miraculously the rain had almost stopped coming down. Cars were stopping and within minutes, mysteriously, two ambulances came out of nowhere and carried off two of the passengers of the colectivo. We were later to hear that there were no serious injuries and the passengers were mostly treated for shock. Most of our passengers disembarked and moved away from the bus to get the fresh air and freedom of the outdoors. Enrique, our Shipibo teacher and friend from the Amazon, produced a mapacho (jungle tobacco) and began smoking it to clear the susto (trauma). Soon everyone was blowing mapacho smoke on themselves and each other to clear the shock. This was the first time I had had the opportunity to use a mapacho so immediately after a trauma and was quite impressed at how well it worked. As I wandered among our group I was amazed at how clear everyone was. Many were laughing and joking and commenting on the absolute miracle they had just experienced. A few got the shakes and became tearful as the shock was released in their systems. Everyone helped one another, no one freaked out, no one lost it and got hysterical, no one got angry, no one was injured badly, and most of all no one died. As we were waiting for another bus to arrive we had an hour or so to spare so a number of the group hiked up the embankment to say prayers and do personal work. I decided to walk up the road to clear the whole scene of the accident of hoocha, what the Q’ero people of the Andes call the low amplitude, inharmonious and heavy patterns being held there. The first thing I noticed was that there was construction going on by the side of the road and that the energy of that section of road was disrupted. After asking the local spirits about this they told me that this curve in the road marked a major ceke or ley line coming from Tiwanaku and going southward. This ceke had been cut by this relatively new road and thus was holding a pattern of disruption. Unfortunately, the road had been constructed according to modern practices and none of the local land spirits had been consulted or asked permission before building it. The ceke appeared to be both natural and enhanced by the people who founded Tiwanaku. Asking the spirits what needed to be done, they told me that just by observing the cut ceke and grasping what had transpired, I was beginning the process of re-establishing it. They told me that Spirit, directed by a focused mind with intention, could work wonders almost instantaneously. They seemed very happy for the tobacco and coca leaf offerings that were being made by the group. They guided me by indicating that I should put my attention on Tiwanaku and then on the destination farther south where the ceke wanted to go, identifying the two most local points of a long ceke that extended well into northern Peru and ultimately off the coast. Although I didn’t exactly know what the destination was, it appeared to be a set of ruins that was an outpost of Tiwanaku. I then did as they suggested, reaffirming the link in my mind and feeling the power of the places as they reconnected. Although the road would continue to cross the ceke, reconnecting the two points was critical to erasing the temporary bottleneck at that curve in the road. The mapachos had cleared the hoocha already. The next day we went by boat to the Island of the Sun and hiked to the moon temple where we had the opportunity to do a susto clearing ceremony. Susto means a fright, shock, or trauma in Spanish. Although we had smoked our mapachos at the site of the accident, shock must be processed by the body first before it can be entirely released. Therefore, one must wait a good twenty-four hours to remove susto. This is also accepted protocol in the practice of EMDR, an eye movement desensitization technique used in western psychology. The susto ceremony had several parts and included the Mayan practice of shaking out the susto in a kind of skeleton dance and hitting the ground to clear it. Then Enrique sang a susto clearing icaro that he knew and Anna and I helped him in blowing agua florida on everyone’s head to clear out what was left of the shock patterns. We gave thanks to Spirit for helping us and protecting us and we were done. After that everyone seemed fine. Several teachings are revealed by these events. First, there is no need to dramatize or feel any pain in the process of clearing hoocha away from a troubled site or from people. Secondly, the process needs to be guided by the local helping spirits because they know what the problem is and what needs to be done to handle it. Third, the act of restoring balance may be very simple, an act of attention accompanied by will. I have found that local spirits don’t complicate things like we humans like to do. In fact, the whole process of restoring resonance and balance can be quite joyous even though the circumstances might be grim. The human race is currently experiencing a series of unprecedented events, some potentially threatening to our survival as a species. Many of these events are human caused, a result of our technological advancements, scientific discoveries, resource mining activities, and overpopulation. Others are caused by natural atmospheric and physical changes throughout the solar system. This is an era predicted by the Mayans and many indigenous nations as a critical and initiatory time for the planet, a make or break time for human beings where we have the choice to either spiritually advance to a golden age or suffer extraordinary breakdown and limitation. 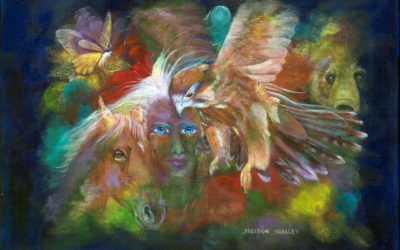 This extraordinary time comes with a huge increase in crisis, trauma, and human suffering as the world strains to rid itself of old worn out ways and embrace new ways of thinking and cooperative living where peace among nations, respect for the environment, and honoring Spirit become the everyday shamanic ways of people everywhere. Our belief is that Shamanism Without Borders can be an effective and beneficial tool in humankind’s toolbox to help us meet the times prepared and empowered, by drawing from ancient shamanic wisdom and skillfully adapting it to modern needs for healing on a global scale. 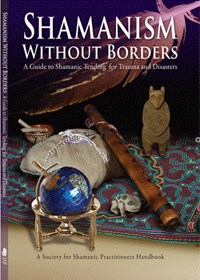 We have a limited number of Shamanism Without Borders books still in stock. They belong in the hands of those who seek to participate. Purchase a copy here.